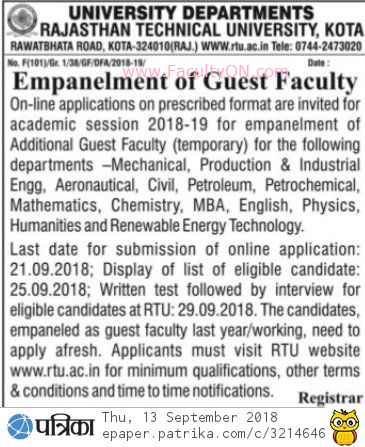 Rajasthan Technical University, Kota has advertised in the PATRIKA newspaper for recruitment of Guest Faculty jobs vacancies. Interested and eligible job aspirants are requested to apply on or before 21st Sept 2018. Check out further more details below.